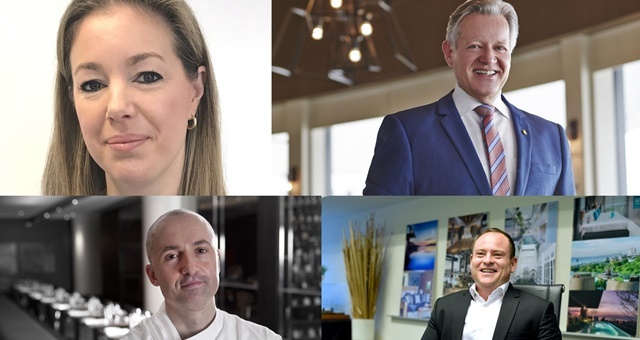 Welcome to HM’s special update where we look at some of the key movements in the Australian and New Zealand hotel industry over the past week. Kari Hunter has been appointed by Choice Hotels Asia Pacific as the organisation’s new General Manager – Marketing. In her new role, Hunter will oversee the growth of all of Choice’s brands in this region including Clarion, Quality, Comfort, Econo Lodge and Ascend Hotel Collection. She brings more than 15 years’ experience to the position, having most recently served as General Manager Marketing for Belgravia Health & Leisure Group, where she managed marketing activity for eight brands and over 160 facilities. InterContinental Sydney has named Jeremy Clark as its new Executive Chef. British national Clark has plied his culinary trade in some of the world’s most elite hotels, including Hilton in his native UK, the former W Woolloomooloo, Four Seasons Sydney and most recently as Executive Chef at Westin Sydney. In his new role, Clark will manage a F&B kitchen team of 55 and will play a leading hand in the redesign of menus throughout the hotel. Longstanding hotelier Paul Wilson has joined BHMA – Flight Centre Travel Group’s hotel and accommodation business – as its new Executive Vice President Commercial. Wilson moves to FCTG from a senior role in Thailand where he headed up sales, revenue and distribution for Centara Hotels & Resorts, a role which saw him in charge of 16 global offices. Wilson’s new role comes as Flight Centre prepares a period of expansion for its hotel and accommodation management division. Pan Pacific Singapore has a new General Manager in Kurt Otto Wehinger, who commenced in the role last month. Kurt is very familiar with Australia, having most recently served as General Manager at PARKROYAL Darling Harbour and Area General Manager for Oceania. Wehinger is intimately familiar with Singapore, having worked in the city state for seven years at Marina Mandarin Singapore prior to joining the Pan Pacific Group.